As dedicated sports fans, we were thrilled when we were asked to create custom wrought iron designs for the home of former NBA player, head coach, and famed ESPN commentator, Mark Jackson. Amongst his many roles and achievements, Mark Jackson was recently the head coach of the Golden State Warriors and has played for the New York Nicks, Los Angeles Clippers, Toronto Raptors, Utah Jazz, Houston Rockets and the Indiana Pacers throughout his twenty year NBA career. Beyond being a successful professional basketball player and one of our favorite sports commentators, we had the pleasure of getting to know Mark Jackson and his amazing family very well throughout the project. Every member of the Jackson family was incredibly welcoming, friendly, and a true pleasure to work with. The first design we created for Mark Jackson’s home was iron double doors for the back of the property. The custom design is extremely detailed and decorative, with ornate gold accents throughout the installment. The color of the doors is a custom tone that is dark brown with a gold touch up. Following up the design and installation of these elaborate double doors for the back of the Jackson home, we repainted the front door of the home to match the color of the new design and create a cohesive look throughout the property. As a family owned and operated business, King Iron Works takes great pride in working on the cherished family homes of our clients. The most rewarding aspect of our business is when we are approached by our loyal clients and invited back into their homes for further projects. Many of our clients have been loyal and returning customers for many, many years. This loyalty and trust in the King Iron Works team serves as a testament to our hard work, dedication, and passion for our craft. We are excited to be working on another project for Mark Jackson and his family. Currently, we are designing and fabricating two decorative window guards to the left and the right of the double doors. 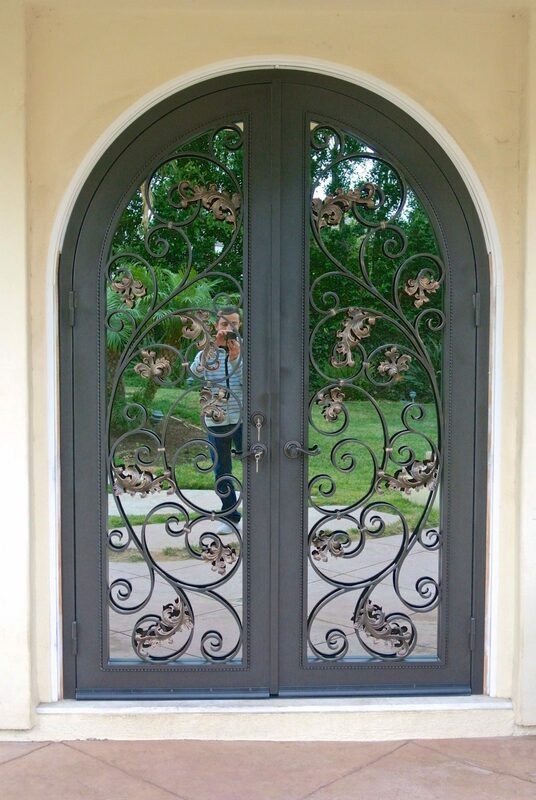 The new installations will match the ornate details and custom color of the double doors we designed for the property. Many of our high profile and celebrity clients throughout the years continue to value the stunning aesthetic and strength of custom iron designs for their homes. 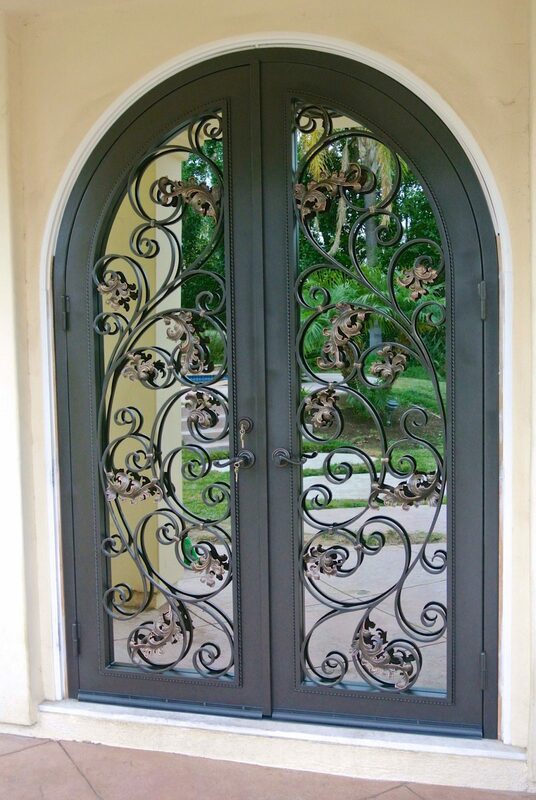 The timeless style of iron doors, gates, and accents creates the look of unmatched luxury. Custom ironwork is the perfect way to combine your personal taste with the unique design of your home and watch your vision come to life. When looking to add classic charm to your home with wrought iron designs, count on the experienced and talented team at King Iron Works for time tested designs and an impressive portfolio that is sure to inspire you and fuel your creativity. Visit our eight thousand square foot showroom, meet with the creative personalities in our design team, and start the exciting journey towards embellishing your home with unique King Iron Works designs.